This is from a set of masks that I put together originally for colouring in competitions at my table at comics show. For some reason, they seem to be more popular as prints? Oh well…. Each print costs £2, is black and white on A3 card and features ONE character only – except for the mask in the middle which appears on the card twice. 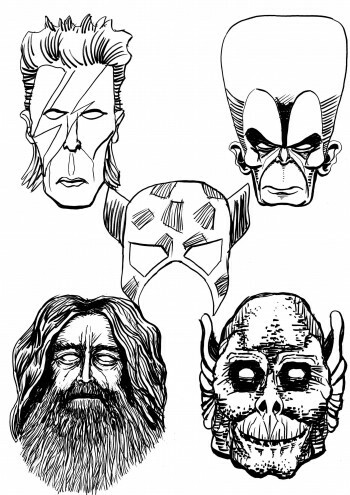 Feel free to cut them out and colour them in to make masks, or hang them on your wall – whatever is fine with me folks…..